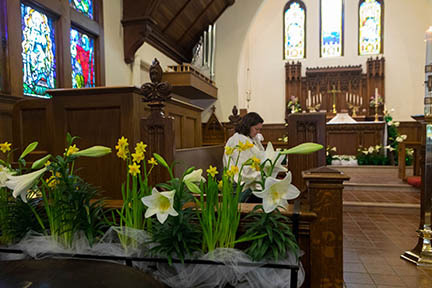 Members of the congregation are encouraged to donate altar flowers in remembrance or in honor of a loved one. 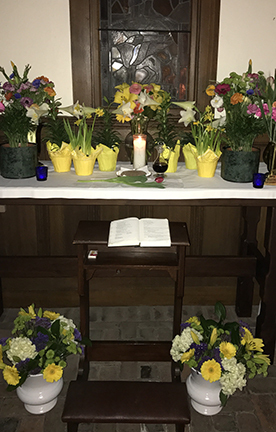 You can find a sign-up chart for flowers in the narthex of the church (by the front doors). You can either bring fresh flowers, purchase an arrangement from a local florist or donate money and the flower guild will purchase flowers for you. 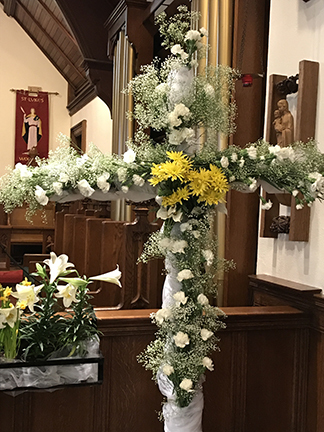 The Flower Guild is responsible for greening the church at Christmas, creating the Altar of Repose for Maundy Thursday and flowering the cross and altar before The Great Vigil of Easter. For more information contact Joan Luchessi or Jill Kronenburger.